It’s the start of a new month, which means it’s time for another round of Designer Drinks! This month join design studio Susan for Susan at Northwood for some delicious drinks and design conversation. Ontario’s largest theatre festival is back! 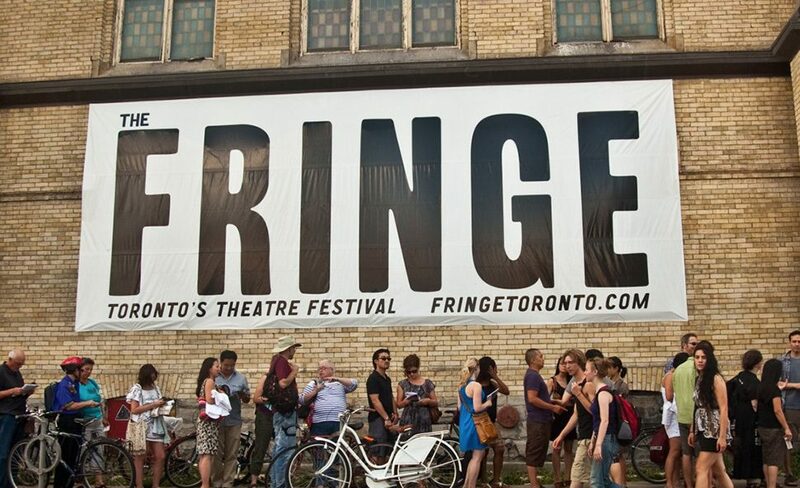 Now in its 30th year Fringe features more than 160 plays and offers affordable tickets as well as a range of free performances over the course of 10 days. The 3rd annual Toronto Art Book Fair kicks off this Thursday. This year they’ll be featuring over 300 Canadian and international artists and exhibitors. The fair also includes performances, talks, project launches, workshops, panel discussions, and screenings. Craft Ontario’s latest exhibit opens this Thursday and explores our understanding of work and pace. PATTERNMAKER was inspired by the hand crafted wooden forms used to create moulds for casting metal gears, pulleys, and machine parts. Come out the the Toronto Outdoor Art Fair to explore art and craft from over 340 contemporary visual artists and makers. Everything from painting, photography, and mixed media to jewellery and ceramics will be on offer, so don’t miss it! The Toronto Design Directory is hosting a graphic design-themed pop-up this weekend. Featuring some of the coolest products and pieces from Toronto-based graphic designers, including prints, ceramics, accessories and more, you won’t want to miss it!